Danni Laura: First Impressions of Quirky Crate: May 2018. 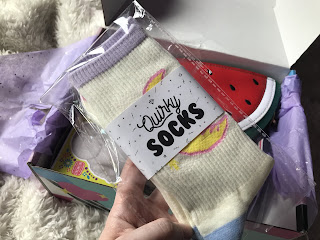 Quirky Crate is an American based subscription boxed based on all things quirky. I love the idea behind it and if I lived in the US, it'd be a no brainer that I'd continue with this subscription. As it is, I ended up paying about £50 in total for this box, including £15 in customs fees. How cute are these sticky notes? 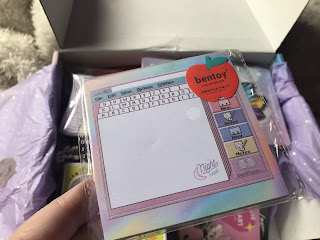 I don't know when I'll use them but the design is very cool. I'll be using the heart shaped lock on my suitcase on my upcoming Los Angeles trip as my case is pink so it's a good match for that. 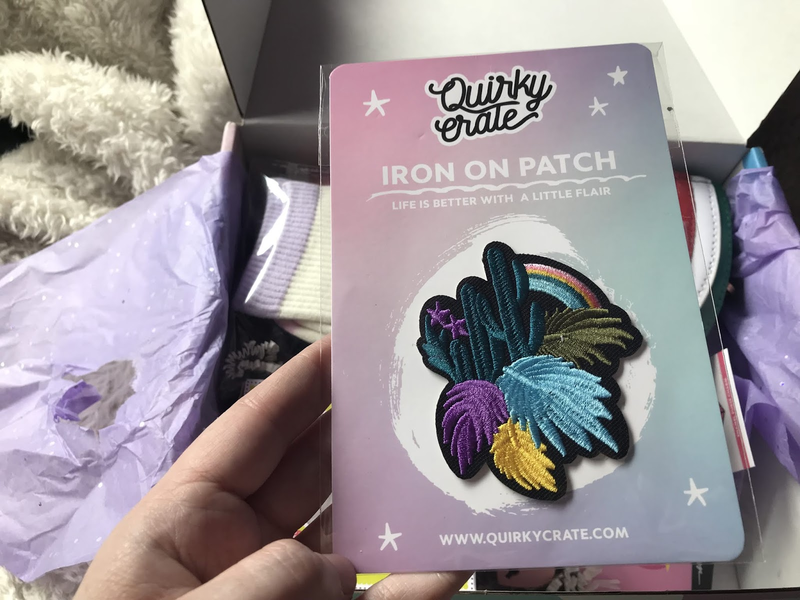 The patch and pin are my favourite things from the box, and I believe they are products that subscribers receive every month with a different pin brand featured in each box. 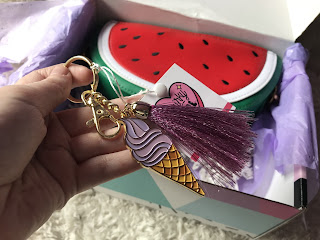 The keyring I'm not too bothered about but it will be going on my car keys for some extra sparkle. 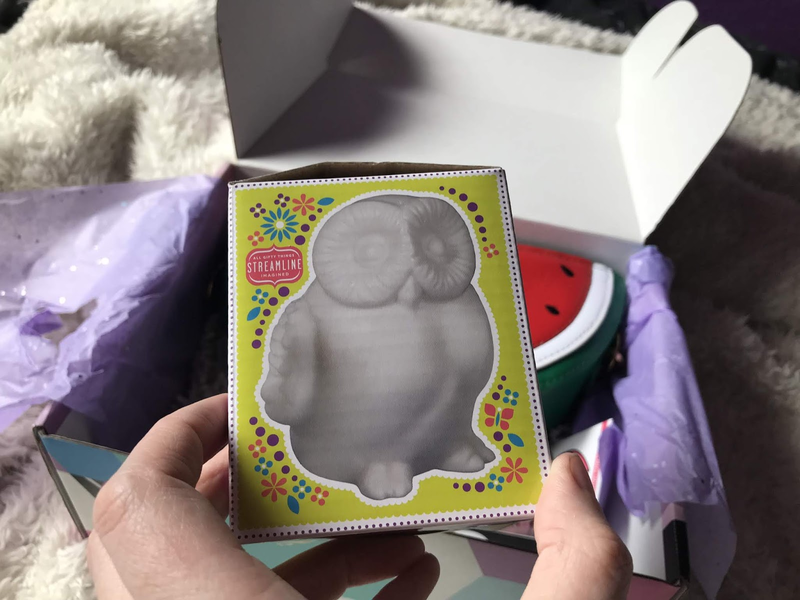 The owl LED nightlight is a miss for me, I hate birds so I'm going to passing this on to someone else. 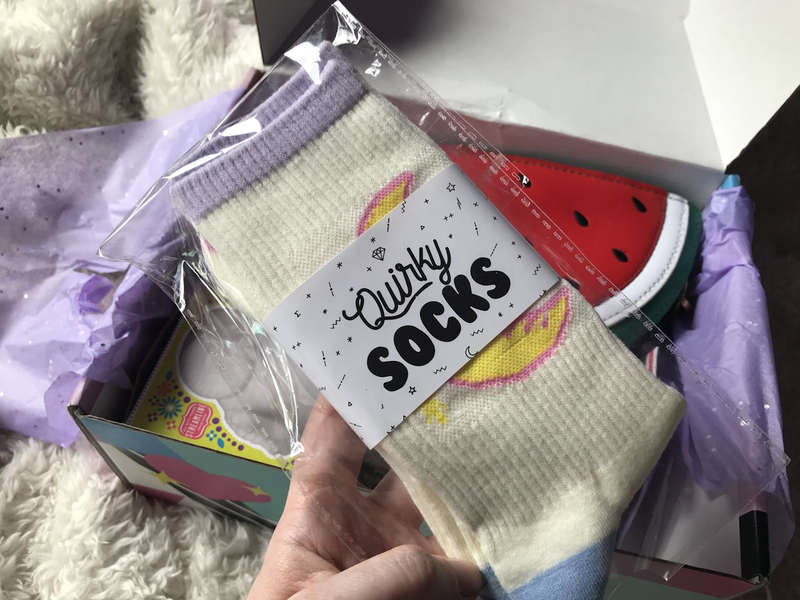 Socks are another product that are featured in every box and these moon ones are really cute. The watermelon bag is perfect for summer and I can't wait to use it! 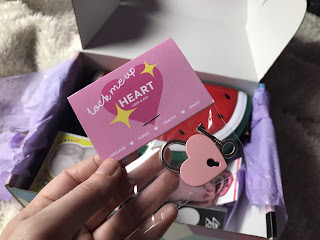 I really enjoyed opening this box, there was so much to go through, it really felt like a present to myself. I just can't justify £50 a month for this so unfortunately this box had to be a one off purchase. 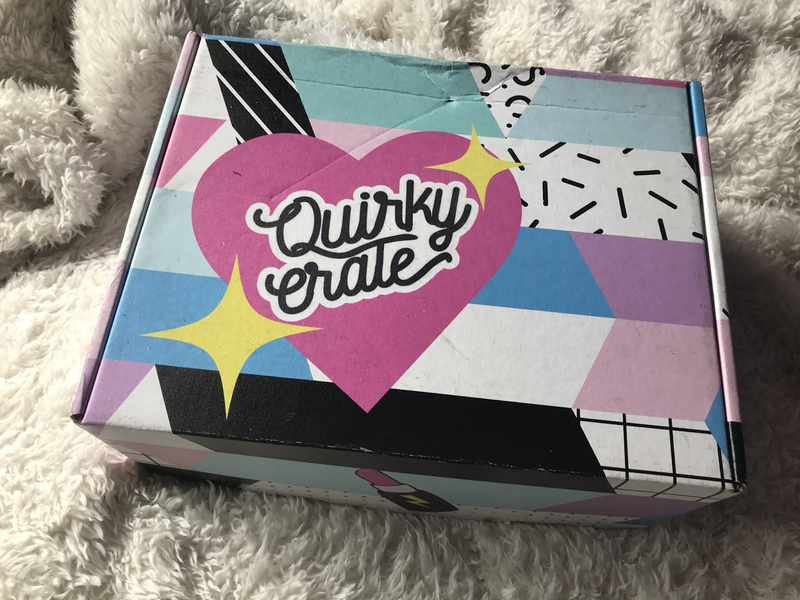 If this box is something you might be interested in you can subscribe via Cratejoy here. 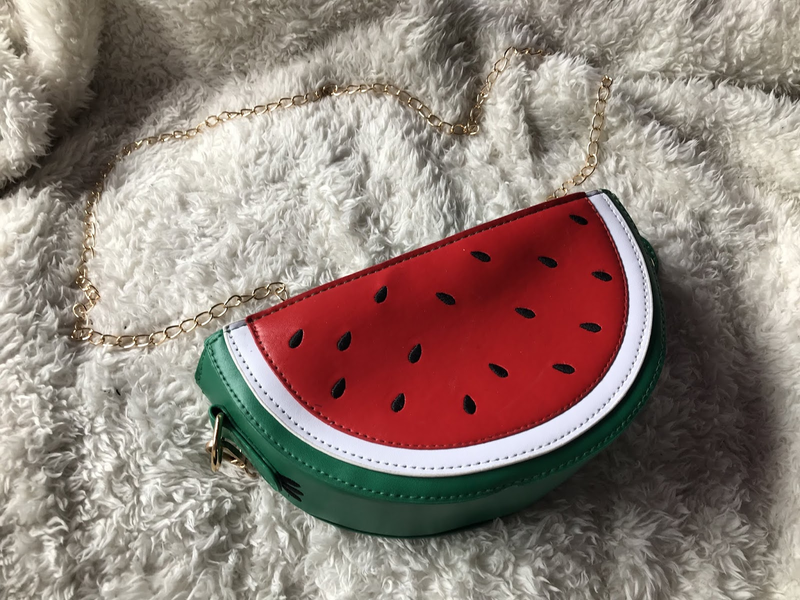 What do you think of Quirky Crate? 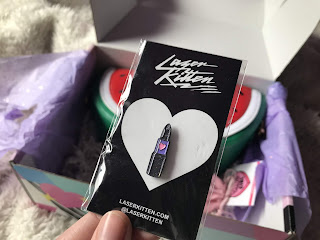 Do you know of any similar UK based subscriptions?